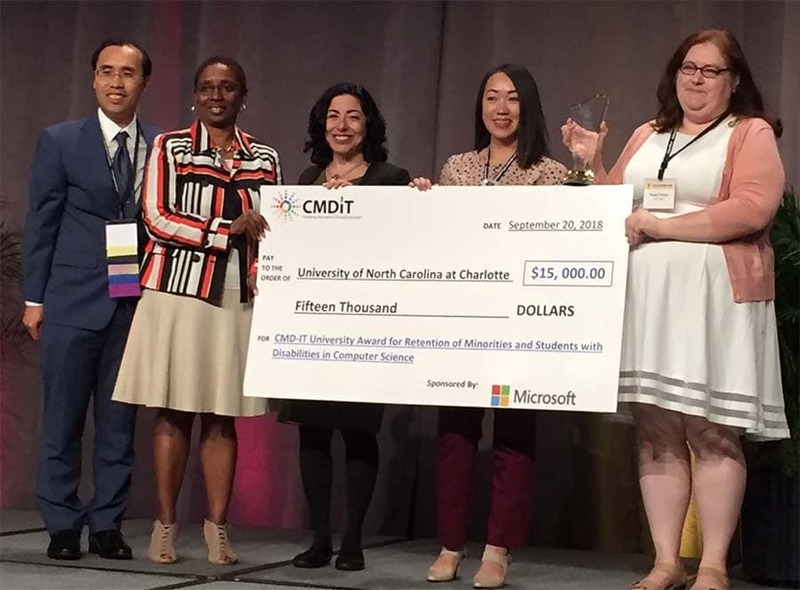 The College of Computing and Informatics (CCI) was awarded the second annual CMD-IT University Award for Retention of Minorities and Students with Disabilities in Computer Science by the Center for Minorities and People with Disabilities in IT (CMID-IT). This honor highlights organizations that have exhibited commitment and success in accommodating students from underrepresented groups in undergraduate Computer Science programs. Sponsored by Microsoft, the award comes with a $15,000 cash prize. CCI representatives accepted the award at the 2018 ACM Richard Tapia Celebration of Diversity in Computing in Orlando, Florida.